Do You Keep On Worrying While Travelling With The Infant Or Toddler, Does Your Baby Cry Or Get Annoyed While Travelling By Car? Does Your Baby Like Music? 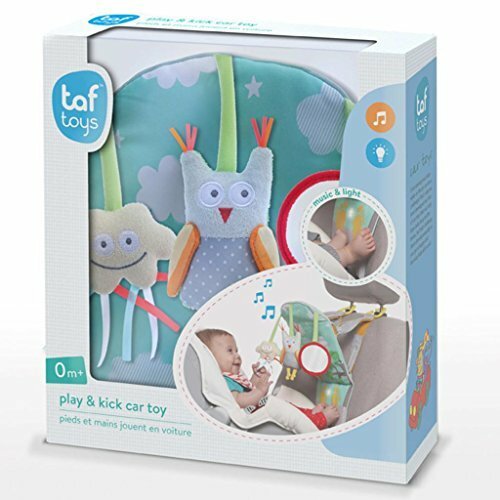 Start Using The ‘Play & Kick Car Seat Toy’ For Your Baby. No More Worry And Tension While Your Baby Is On Rear Car Seat Seating Alone. Provide Your Baby The Entertainment That Would Keep The Baby Occupied With Fun Toys. 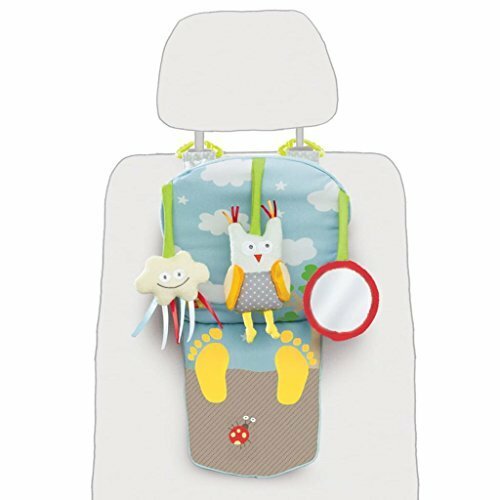 Back Seat Activity Center For Babies – Generally babies get bored while in travel. This rear-facing seat will keep your baby happy while you are driving. 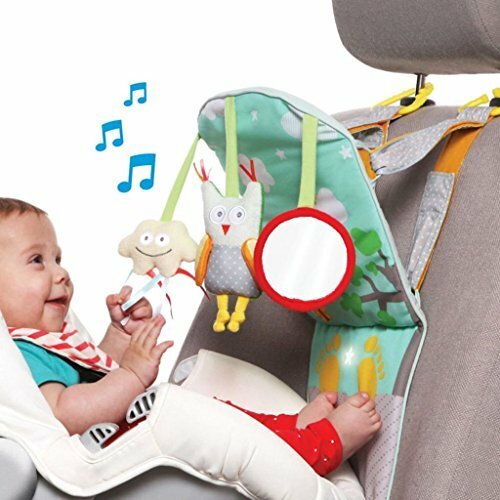 This fun backseat activity center will keep baby entertaining. The toys are suitable for new born as well as toddlers. Colors And Fun Characters – The pastel colors and fun characters would invite your baby to play and explore the toys. enriching their Gross motor skill improvement to sit, stand, walk, run, keep balance, or change positions. 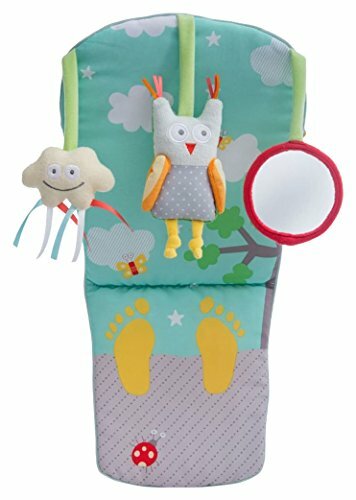 Colorful Fabric, Attached Toys And Mirror- Babies would love colorful fabric cloud toy with jingle bell inside. The owl has knotted feet and a rattle inside. Baby mirror engages baby with their own reflection. Batteries Powered Kick Pad – The kick pad is powered by batteries, which are included and replaceable. Important – Always attach toy’s two triangle plastic rings to the headrest metal poles. Suitable only for cars with adjustable headrest with metal poles! Adjust height and angle with Velcro straps for baby’s reach. Order Today by Clicking on Add to Cart and let your baby enjoy the travel while keeping yourself free from worrying about baby’s boredom. 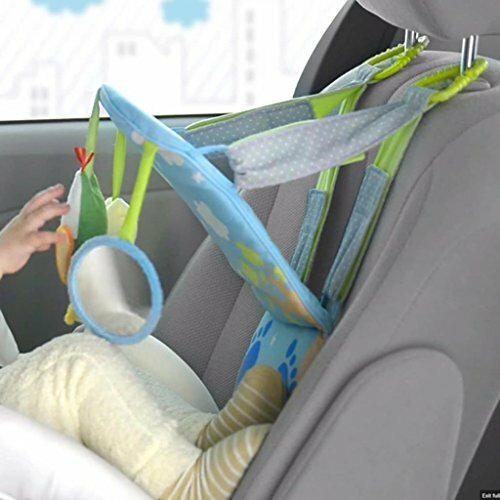 ✓ATTACHABLE TO CAR SEAT HEADREST – The toy is suitable only for cars with adjustable headrest with metal poles. There are two triangle plastic rings to the headrest metal poles for Attaching the toy. 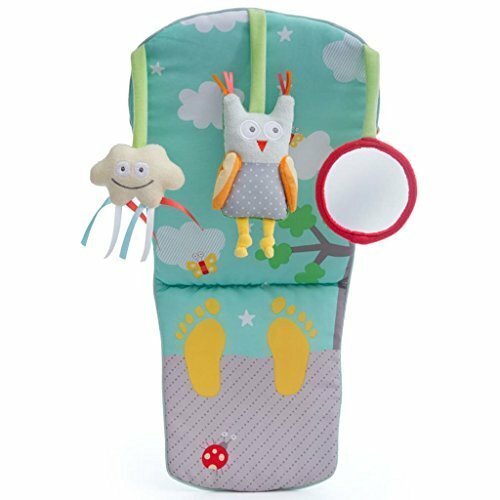 ✓ADJUSTABLE FOR BABY’S REACH – Toy can be adjustable as per baby’s height and convenience. Just clip plastic rings to head rest and mount it in seconds. When the baby kicks to toy’s bottom part, the star shape on the bottom part of the toy is activated to light-up and short sounds are heard. The kicking and activating music teaches baby about cause and effect and entertaining the baby as the music plays. ✓PERFECT FOR DRIVING PARENTS WITH INFANT AND TODDLERS – There are times when parents need to carry the baby along with them and adds worry when they have to keep the baby alone on rear seat. This toy is especially designed for this kind of parent need as the toy is suitable for new born infant. It is perfectly suitable for all your needs while travelling with baby alone. ✓BABY’S CAR MIRROR – The small mirror hung will also entertain for the baby. Watching own image will also be amusement for your baby.